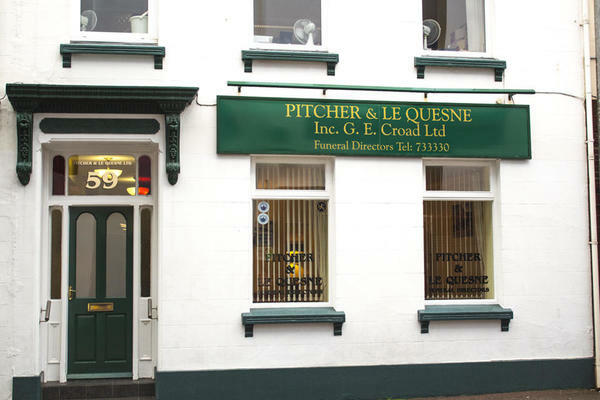 We are Pitcher & Le Quesne Ltd Funeral Directors in St Helier, and we are based by the beautiful seafront by The Esplanade. We are here to help make a difficult time a little easier for you and your family, as we arrange and conduct a beautiful farewell that pays tribute to your loved one's life. We have a deep understanding of the options you have and the decisions you need to make for your loved one's farewell. We will give you as much choice as possible so we can tailor every detail to be unique, because we understand how personal life is with those we love. Our attentive team has a wealth of knowledge and expertise, treating every person in our care with the same uncompromising compassion. Our funeral home and facilities are of the highest standards to look after you, your family and your loved one. We are here to guide and support you, and give your loved one a meaningful farewell. Please call us at any hour; we are here to talk 24 hours a day. If you need advice on where to park, please give us a call and we will be able to help you. You can find our funeral home on Kensington Place, close to Grand Jersey Hotel & Spa by The Esplanade. Our staff are available 24 hours a day on 01534 733330 if you require our services outside of these hours.